It’s been cold, cloudy and rainy here the last few days, which is a rare thing here in the desert, even in winter. 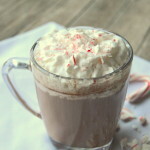 I’m taking full advantage of the situation by warming up with one of my favorite seasonal coffee drinks; peppermint mocha. It’s delicious, easy to make, and really hits the spot on a cold winter’s day. I love that this can be made with whole, 2%, 1%, or even fat free milk, without affecting the taste (but the higher the fat content, the creamier the drink). Of course, by using 1% milk, I can splurge on the whipped cream and peppermint garnishings! 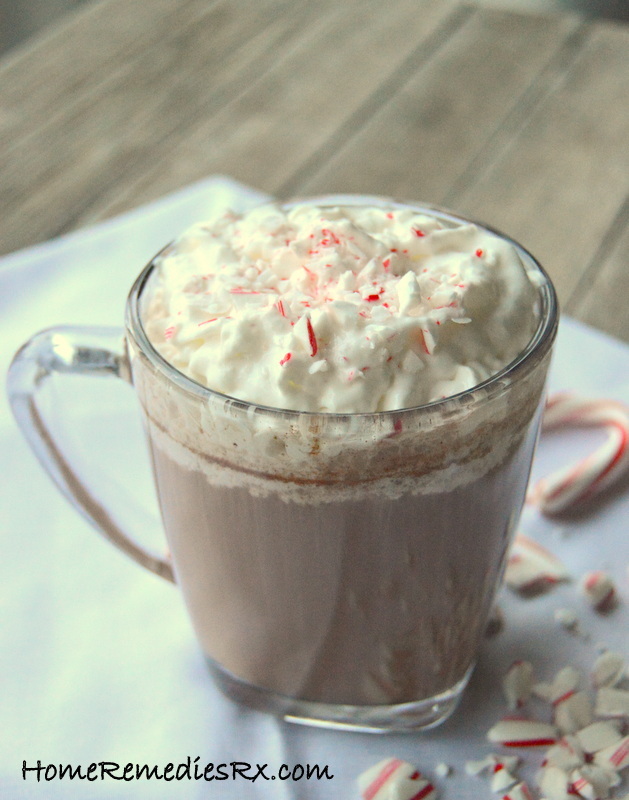 A festive, seasonal favorite that can be made with whole, 2%, 1%, or fat free milk. Mix together coffee, milk and chocolate in a large saucepan on low heat until chocolate is melted and mixture is heated through; about 5-7 minutes, stirring occasionally. Garnish with peppermint sticks, whipped cream, or chocolate chips. P.S. 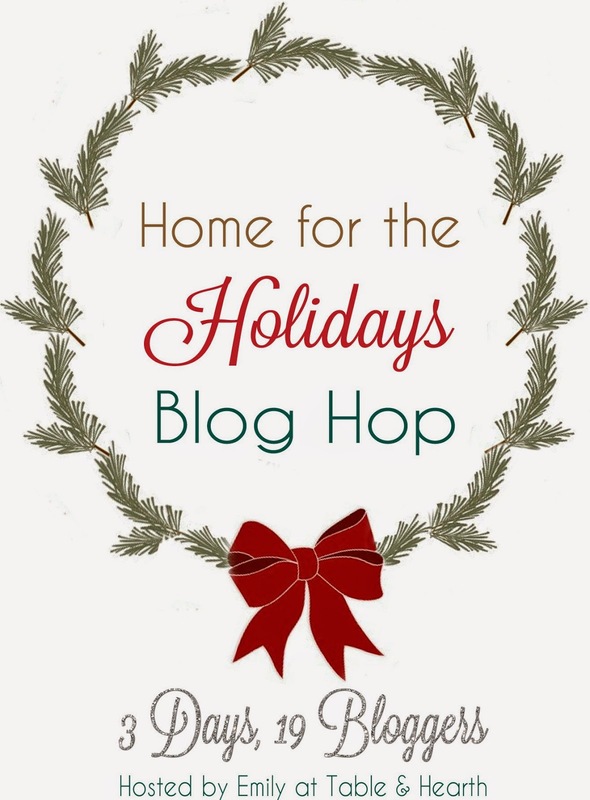 – Make yourself a few Peppermint Mochas, then head over to the Home for the Holidays Blog Hop and get inspired by some festive holiday decor! Make sure you come back on Friday for Part 2 of my Christmas Home Tour! Looks delicious, Amy! Anything peppermint has my taste buds dancing! Cannot wait to see part 2 of your tour!!! Thank you, Kendra! So glad you stopped by! Thank you, Nicole! I’m so honored!